Why did you decide to come to Metal? 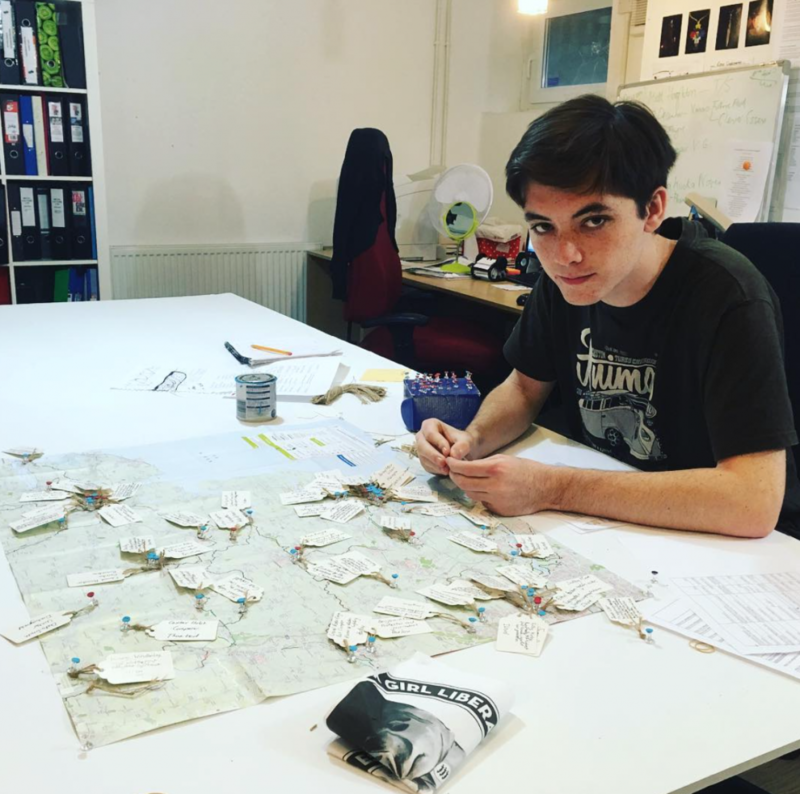 I decided to apply for work experience at Metal as I knew a few of the people who worked there and was familiar with the organisations work on art projects and festival such as Village Green which I have been attending since the first one. What have you been up to while here? I began by helping look through social media for references to Village Green and collecting photos from the event for a publicity release. Then I started helping with the NetPark project’s statistics. They help people with disabilities express themselves through art and the specific group I was cataloguing were dementia suffers. I was tiding up the statistics as the project was being nominated for an award and they needed to present survey statistics. I later moved on to the Clever Essex project, which is about breaking stereotypes of the intelligence of people from Essex. I then went to and from the project throughout the rest of my work experience. I originally started on the project by researching new candidates for the project. I enjoyed this part as I have an interest in history. I then went on to help with calculating the viewership numbers for the Village Green festival (Finding out how many people had seen articles concerning it). I, finally, returned to the Clever Essex project by creating a map of Essex with all of the peoples names and deeds pinned to the spot where they were born, lived or performed the deed. I have been granted a lot more insight into what important projects the Metal organisation does for the community. I also learned some skills which will come in handy as I advance into a career. Is there anything that will be useful to you on your course/What do you think you will use in the future? I have learnt important skills and concepts for my marketing apprenticeship course such as viewership and working on projects in general. Tell us in your own words about Clever Essex, and why you think it might be an important project. I think the project is very significant for the people of Essex especially with its work in schools. It gives people who may feel they have been forced to live under a stereotype for their life the hope that like great people who came before them they can accomplish great things, make a positive impact on the world and over come people’s initial expectation of them no matter what they go on to do in life. It therefore allows people to be proud of their birthplace where as before some might have been ashamed. Is there anything you would have liked to do that you didn’t get a chance to do? I would have perhaps liked to help with the NetPark project but understandably some of the people suffering anxiety might find it hard to relax if there were more volunteers than fellow sufferers.